Coming Soon! A new children’s book! All Brandon wanted for his birthday was a brand new bicycle. When the big day arrives and there is no new bike, Brandon bawls, “Boohoo! Boohoo!” The birthday boy soon discovers that only he can make his big, bad barfday better. 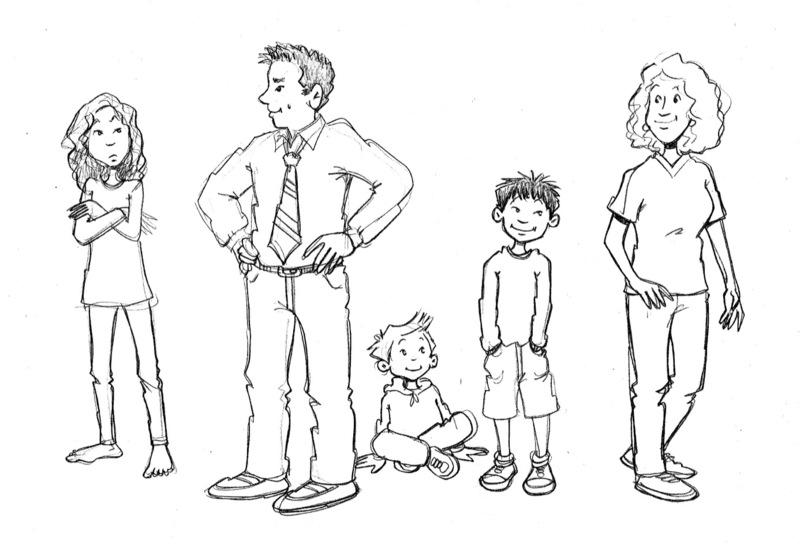 Check out illustrator Jenny Campbell’s original pencil sketch of Brandon and his family. Tina is currently writing the second draft of her first novel for adult readers. The Choices They Left Behind spans across three generations of one family and reveals how the large and small choices made by one generation can have a dramatic impact on the next. Betrayal, secrecy, revenge and redemption are just some of the themes explored in this full-length novel that showcases the personal growth of three women and the difficult choices they make. Intrigued? Click here for a sneak peek. Everybody’s got a story that could break your heart. As a storyteller, I often think of these powerful words by Canadian singer songwriter Amanda Marshall. On February 24, 2012, I lost my mother to respiratory and cardiac complications from asthma and COPD. Her sudden loss was now part of my story … a story that I kept below the surface. But then an opportunity came to me through a talented doctorate candidate at the University of Alberta. 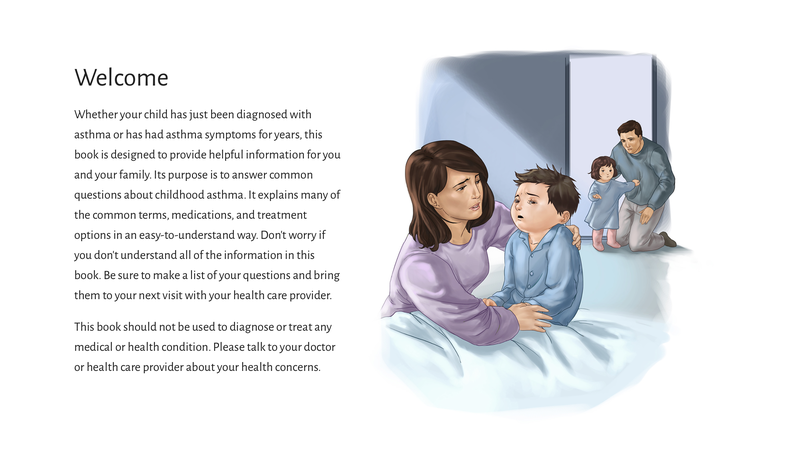 Mandy Archibald asked if I might be interested in writing a digital storybook for families suffering from asthma. I couldn’t help but think that this was my chance to share my family’s experience with asthma in a way that would help others. Rather than break hearts, this story could perhaps help mend them. As Mandy and I reviewed her exhaustive and compelling research, I came up with a story format for our book. I suggested that the mother of our fictional family share the trials and tribulations of caring for a child with asthma through a personal diary. At times the writing process is simultaneously therapeutic, cleansing, and thought-provoking. 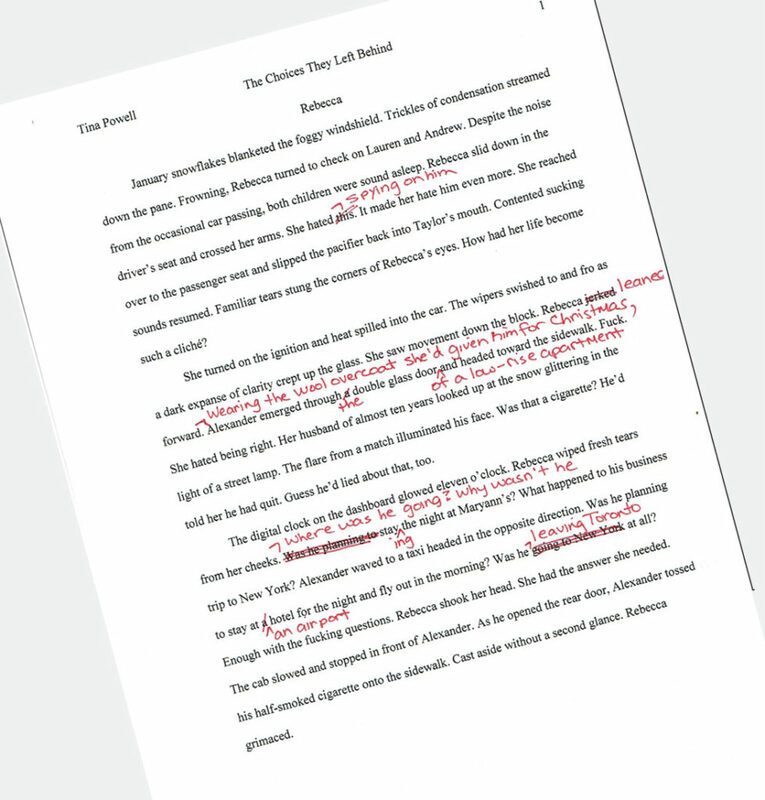 While constructing a story, the writer is often not aware of the poignancy of his or her words. Only after a story is published and deconstructed does a new truth reveal itself. While I told this family’s story through diary entries, I gave each family member a name. 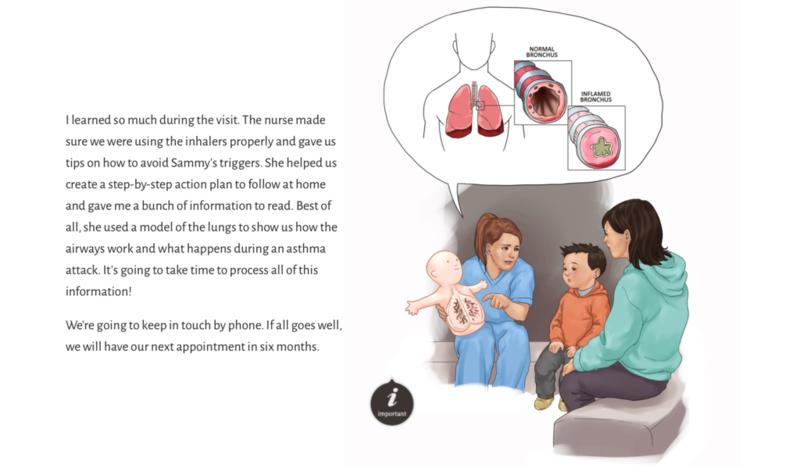 The boy with asthma was named Sammy. His baby sister’s name was Nila. The father’s name was Tahir. Even the family dog and Sammy’s teacher had names! The main character, however, was nameless … yet her strong, honest and wise voice would fill my head and tell me what to write before I even had a chance to think about it. My fingers would dance across the keyboard trying to keep up. As I look back, I now know whose voice I was hearing in my head. Her name was Jane.